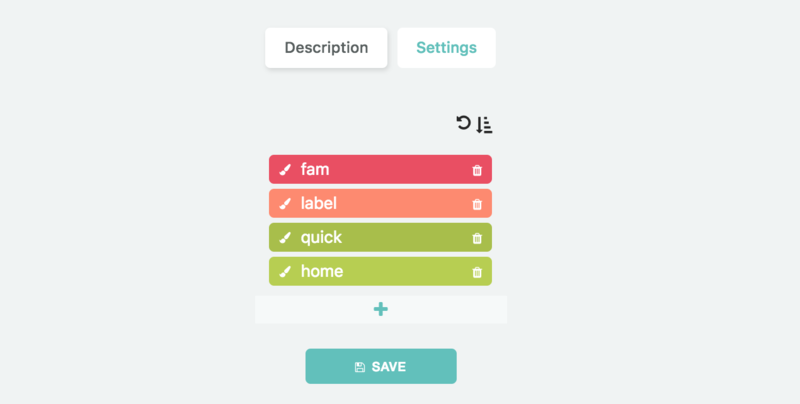 Labels are a flexible way to add extra information/categorization to any task and project in Marvin. Labels work great for adding GTD contexts to items. To use labels, first turn on the label strategy. In the label strategy settings you can add labels (e.g. contexts) you want to use and give them a color. You can also create labels on the fly by just typing the "@" symbol followed by the new label name when creating or editing a task or project. Labels can be removed or added anytime by clicking on the edit icon and removing the label with the little "x". Once your tasks and projects have their correct context labels you can create custom Smart Lists to sort them for example.